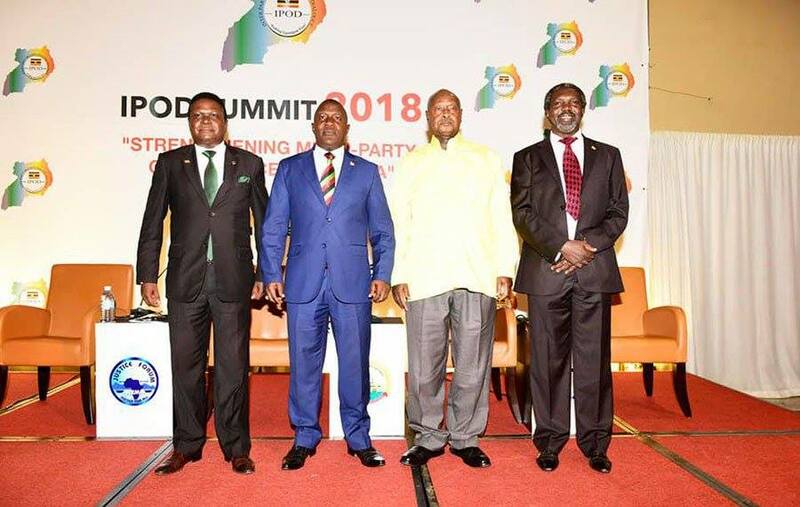 KAMPALA- The president of the Democratic Party (DP), Mr Norbert Mao has said the importance of Inter-party Organisations Dialogue (IPOD) is to take concrete democratic decisions such as ensuring a smooth transfer of power. Speaking at the IPOD summit in Kampala on Wednesday, Mr Mao said as leaders they must sanitize political processes, urging President Museveni to leave power. IPOD is a forum for leaders of political parties with representation in Parliament to engage on matters of common interest. Only four political parties have confirmed participation and these include; Uganda People’s Congress (UPC) DP, Justice Forum (Jeema) and National Resistance Movement (NRM). “Democracy starts with dialogue but does not end with dialogue. It requires action and that is how we want to be judged,” said Mao at the summit also attended by President Museveni as leader of NRM. “This summit is not about showing a smooth surface to the world but to ask tough questions. The challenge of IPOD now is to maintain the connection. We need IPOD to sanitize our political processes. This is a battle of ideas not egos. Politics is not about arguing amongst each other. While politicians argue, mothers and children continue dying in hospitals. Dialogue is painful because it involves talking to those we do not agree with,” he added. “Our goal now is for the country to see a peaceful transition of power, to see an army serve more than one regime. Mr. Museveni, it will be wonderful if you attend a swearing-in ceremony of a President who is not you,” the DP leader said. The leader of UPC, Jimmy Akena, agreed with Mao on the smooth transfer of power and said dialogue is a sign that the country is ready to solve its problems. “I agree with Norbert Mao, I would also like to see President Kaguta Museveni witness a swearing-in ceremony of a President that is not him. It is on such days that I get a feeling that as Ugandans we can do more if we offer ourselves more understanding. Many issues come out of lack of communication. I know there those that complained that dialogue has to go beyond political actors and I agree with that but it is us as political leaders to take the lead in this process. I am glad to have been part of this. It is days like this that I feel we moving forward as a country. I will continue to support dialogue irrespective of the comments,” he said. Mr. Mao also emphasized that the IPOD summit is necessary for the country’s democratic future.